Here’s an important tip for any journalist interviewing someone with a suspicious name: Ask for ID. 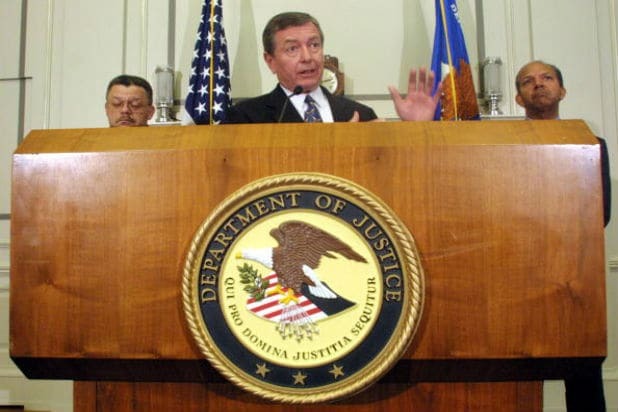 It’s a lesson a Baltimore Sun reporter learned, um, the hard way. 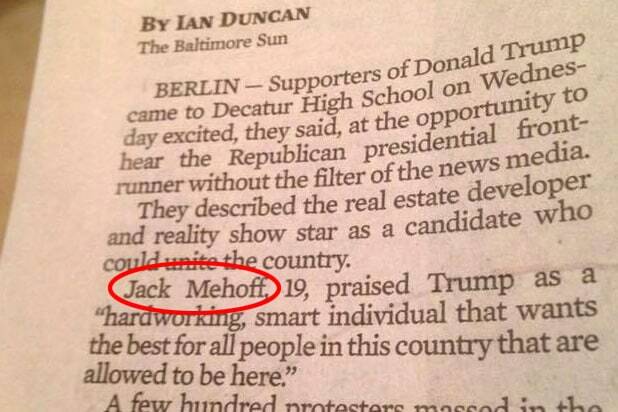 Ian Duncan, who’s ironically listed as the “Military and Intelligence” reporter for the paper, had Twitter in a tizzy on Wednesday after he published an article about a Donald Trump rally in Maryland that featured a quote from a 19-year-old (that should have been his first clue) Trump supporter with an unusual name: “Jack Mehoff” (for those who are a bit slow, read out loud … it’ll sink in eventually). Jack Mehoff, 19, praised Trump as a “hardworking, smart individual that wants the best for all people in this country that are allowed to be here. We did call 411, and — after explaining to the operator that this was definitely not a prank, we swear — the slightly stunned man on the other end of the line told us after a quick check that there is — shockingly — no Jack or John Mehoff listed in Baltimore. Of course, there’s a slight chance Mr. Mehoff came from another city, lives with his parents … or, if you believe in Occam’s razor, is just a 19-year-old kid having fun. We did contact Duncan to see if he’d like to elaborate … but no cigar (OK that was the last pun, we promise). Either way, the article quickly found its way to the Twittersphere, setting the social media network on fire. P.S., Deez Nuts just called. He wants his 15 minutes back. Has the Baltimore Sun interviewed Jack Mehoff about Prince yet? Jack Mehoff is the hero we need right now and the one we deserve.